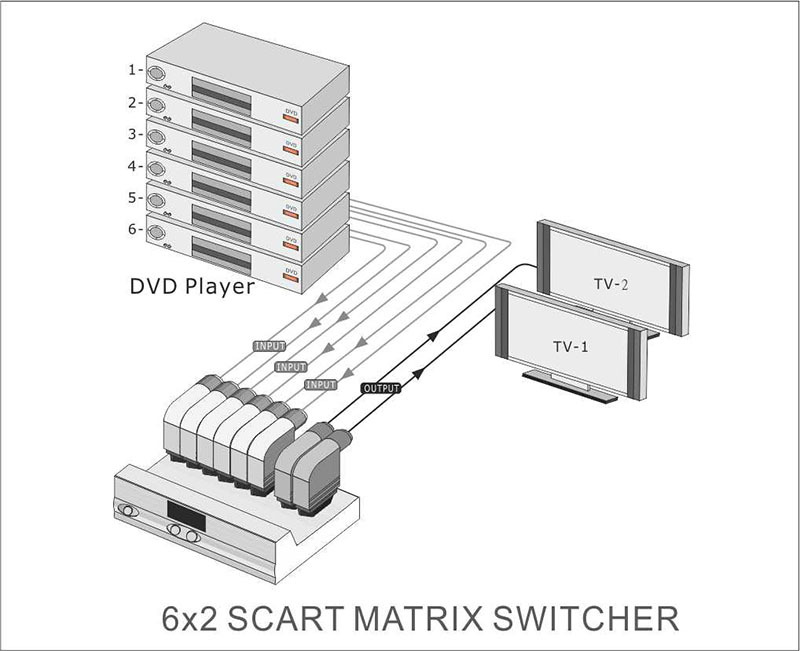 SB-5525 is a 6:2 MATRIX SCART RGB/S-Video (Y/C)/ Composite Video/ Stereo Audio switching product. 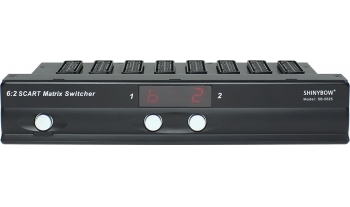 The switcher supports 6 individual inputs with 2 individual outputs. The matrix function of SB-5525 can be routed any input and output to each other. 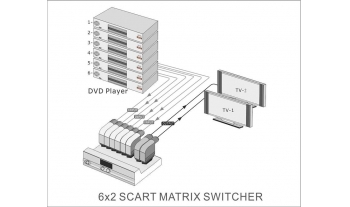 The switcher completely eliminates the need to constantly move around SCART input and output cables. It is ideally suitable for High Resolution TV applications. 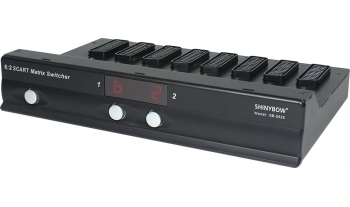 Control is provided via Front pressed buttons with LED readout or IR remote controller.